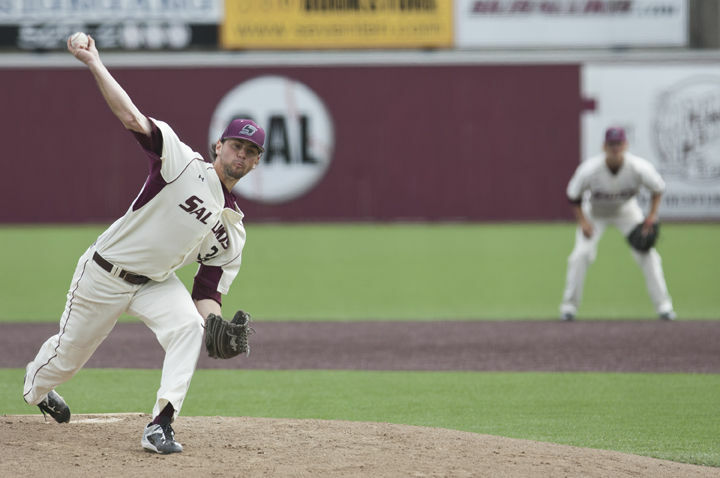 Redshirt junior pitcher Connor McFadden pitches during SIU’s 5-4 win against Murray State. The game was called in the eight inning because of inclement weather. – March 30, 2016, Carbondale, Ill.